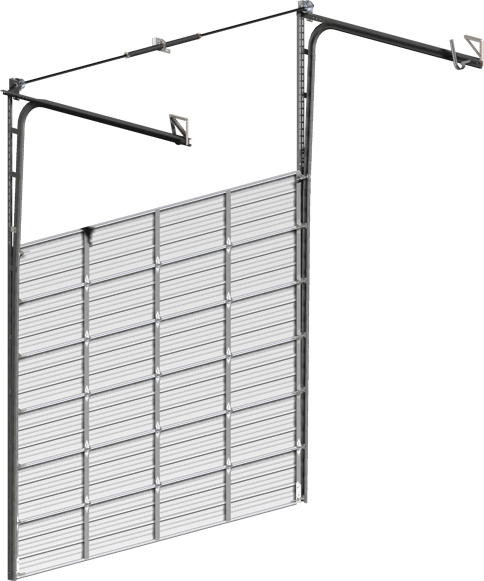 The Model 124 is 24 gauge single layer ribbed construction with hot dipped galvanized sections roll formed to a full 2″ thickness. Standard color is Apache White and available as an option in a variety of powder coated colors. 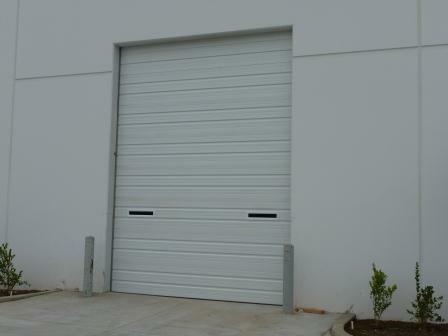 All doors come with bottom weather seal to protect against the elements. Doors feature tongue and groove configuration for the best shield against the weather. Helical torsion springs are oil tempered and designed for 10,000 cycles. 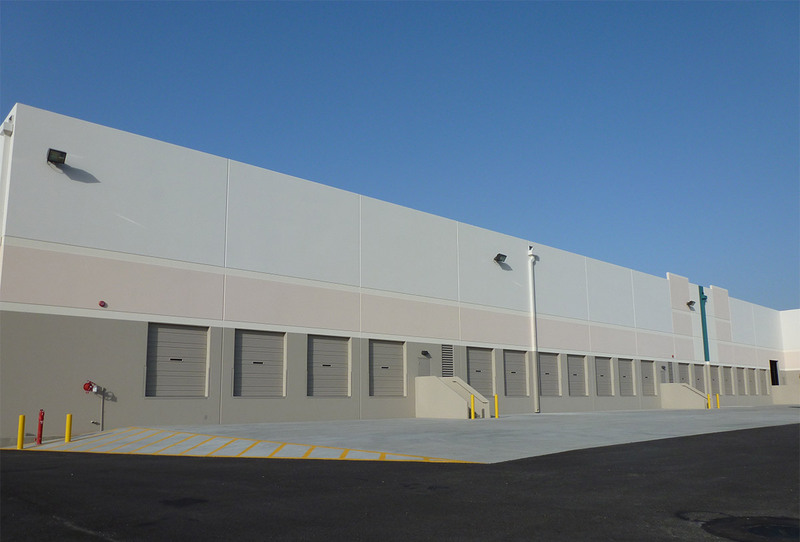 Springs are custom designed for each door using door weight, size, and track configuration in accordance with ANSI 102 standards. Custom springs are available in 25,000, 50,000 and 100,000 cycles as an option. Counterbalance is transferred through galvanized aircraft quality cables. PORVENE hardware includes a minimum of 14 gauge steel hinges and 13 gauge galvanized steel track brackets. Standard 11 ball nylon rollers insure quiet operation, but 10 ball steel rollers are available as an option. 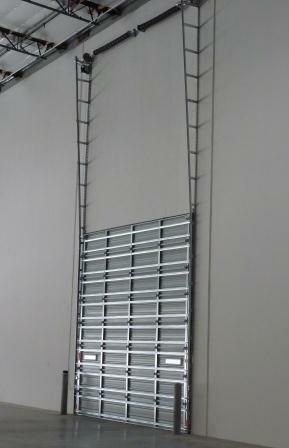 Standard PORVENE track is 2″ and is available in Standard Lift, High Lift, Full Vertical Lift and Low Headroom configurations. 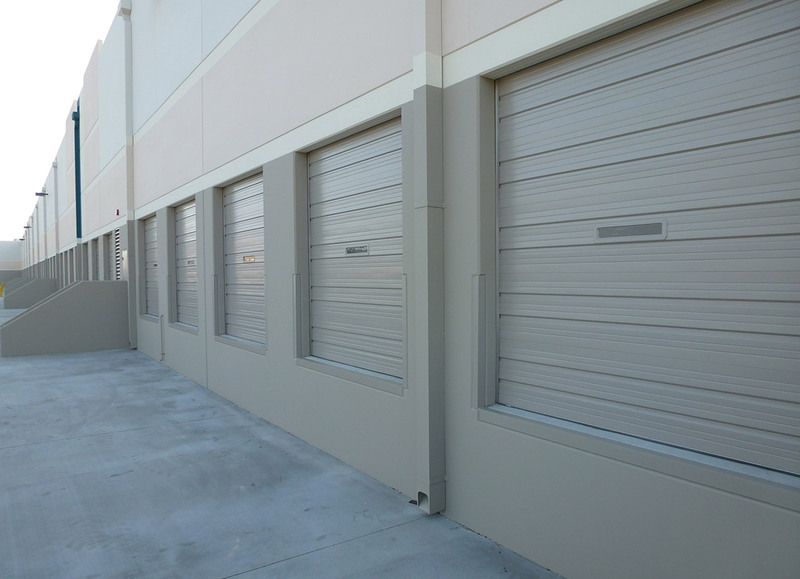 PORVENE offers 3″ track as an option on some models, and it is standard on large door sizes. PORVENE also offers custom track configurations as well.